ComiXology is back with another Marvel Monday blitz and a sneak peek at the Wednesday releases coming to your Computer,iPhone,Android or anything else you can access their catalog with. This time it’s 99 cent issues for Spider-Man in all his glory, check out our link to the sale and get in while you can on his universe. There’s a new blitz coming just for this leap year from the ComiXology folks, we have the current list so give it a look and apologize to your wallet and bank account in advance before the arrivals hit. 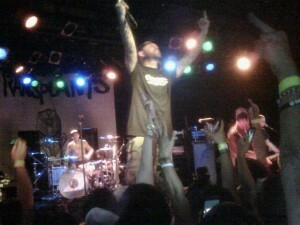 “Take a look around baby, yeah my whole crews ugly!”…well not really but the Transplants did put on a sick and awesome show at The Roxy in Hollywood last night February 10th 2012! 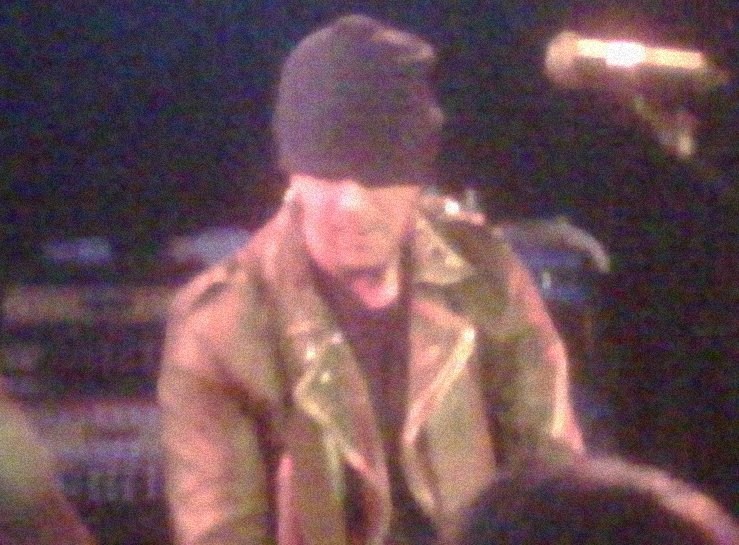 Matt Freeman of Operation Ivy and Rancid fame, all around bass playing God, and front-man of Devil’s Brigade opened the show playing a 35 to 40 minute set. It would be an understatement to say they sounded fantastic. Matt was ridiculous on bass, opting for what looked like his signature Squire rather than his upright used on the album. DJ Bonebrake of L.A.’s legendary punk band X backed Matt on drums and whose timing, energy and gum chewing helped keep the crowd screaming for more. 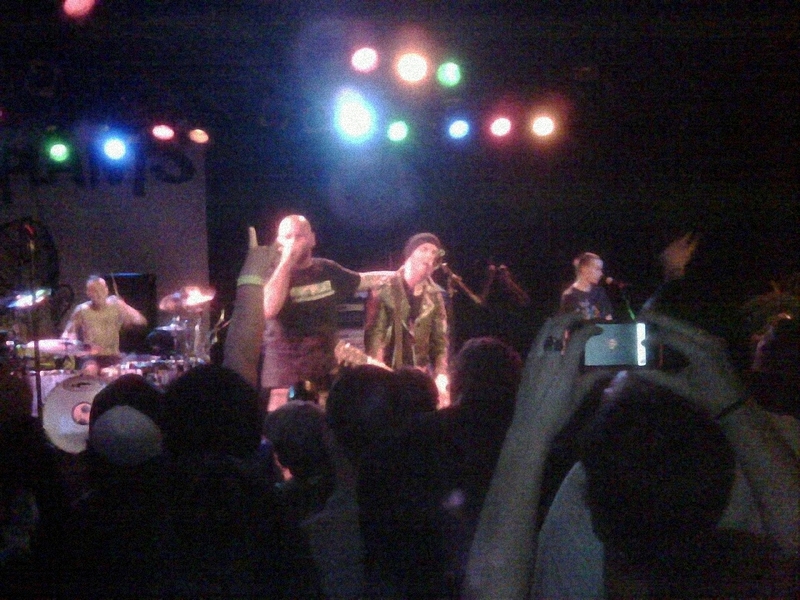 Throughout the set, Matt genuinely thanked the audience, his best friend of 39 years Tim Armstrong (Operation Ivy, Rancid, Tim Armstrong’s Rock ‘N Roll theater, numerous collaborative and solo side projects, and all around musical genius) and the Transplants for having his band open the show. After Devil’s Brigade, the Transplants started their set to a very pumped up, filled to capacity crowd. This was their first show in 7 years, and the testosterone flying out of them could not be mistaken. Their opening song was “Tall Cans In The Air” (my personal favorite) where Skinhead Rob Aston proceeded to shake a beer and spray the crowd with it. Nobody seemed to mind. By the crowds reaction everyone was thirsty for blood boiling, vein shaking musical madness. The Transplants delivered nothing less and played all the songs you would expect, “Diamond and Guns”, “Gangsters and Thugs”, “DJ, DJ” with a few surprises like “Saturday Night” off Travis Barker’s solo album, Give the Drummer Some as well as a couple of covers by iconic punk bands (if you want to know, catch a show and if you’re lucky you might hear some too)! From Rob and Travis’ tweets to their intensity throughout the show, it was clear that these guys were extremely stoked to be playing together again. There is nothing better than seeing a band whose energy transfers to the audience and that is exactly what was going on here. As the crowd slammed, pogoed and screamed along to every song, an amped up Rob embodied the same energy, spitting and throwing beer on the crowd (it may sound gross but in the moment really added to the show). Travis Barker (Blink-182) on drums was amazing. The guy is a sweaty drumming machine. How someone could keep up such a level of constant intensity is mind-blowing. So many times drummers are stationary and kind of stuck in the back. The fact that Travis was able to have the same presence as Rob and Tim who were jumping around at the front of the stage is a testament to his extraordinary abilities. Finally, in his signature style, Tim Armstrong ripped the guitar while somehow simultaneously spinning and dancing across the stage without missing a beat. 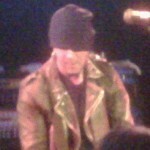 Despite having gone to Rancid shows for years, I am continually blown away and amazed at his ability to connect with the crowd. When Tim sat on the edge of the stage playing his guitar and singing with the crowd, he generated a vibe reminiscent of old punk shows where the band and the fans fuel one another. I can easily say that this was one of the best performances I have ever seen. Throughout the entire show there were multiple times during the night that Tim Armstrong and Matt Freeman were walking around talking to people, taking pictures and honestly, just being rad. I was able to meet both of them and they could not have been cooler. It was a fantastic night, a fantastic show and if you have the chance to catch them, (they are playing Las Vegas Monday, February 13th) go, I promise you won’t be disappointed, unless of course you don’t like good things. The Transplants are currently working on their 3rd album, which will hopefully be released later this year with a tour to follow!